Back it up – into the future! Safety both on road and off road is paramount, and clear unobstructed vision is critical to safely operating your 4WD anywhere! 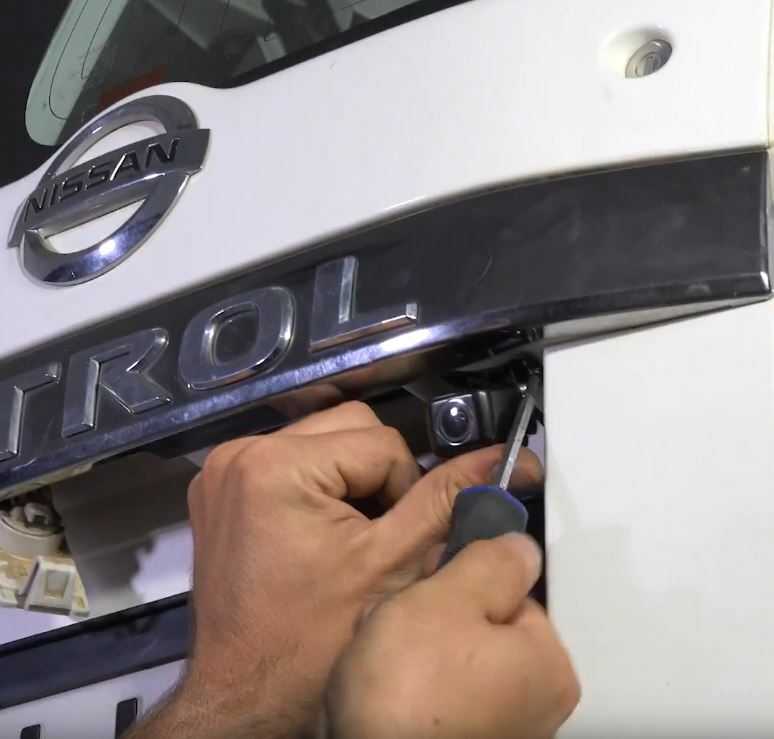 Now a vehicle can be retrofitted, with a state of the art safety device that won’t break the bank, and can make reversing larger vehicles much less stressful! 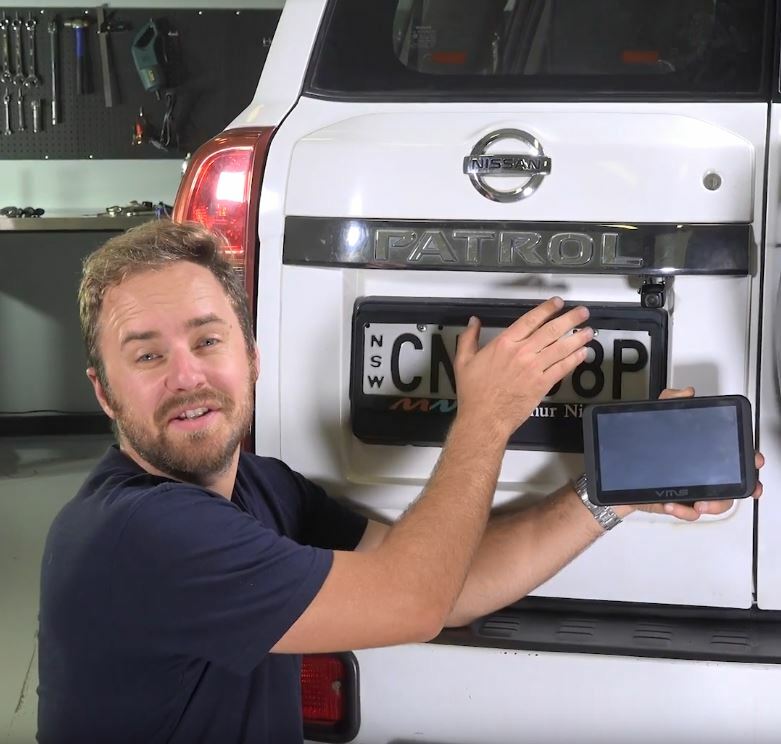 This is why VMS has teamed up with Adventure Kings To release the latest in 4WD safety accessories, The VMS Reversing camera is one of the best ways to gain a clear vision of what is behind a 4WD whilst it is reversing. Installation is a simple plug and play process, meaning it can installed in just an afternoon. The VMS Reversing camera is fitted with a 150° wide angled lens, which offers the ability to clearly see not just, what is behind a reversing vehicle, but what is beside it as well, meaning there will be far fewer surprises from obstacles and people that move into the obstructed vision of a reversing 4WD! The kit includes over 9m of extension cable so is easily suitable for installation on nearly any 4WD, van, family, SUV, camper van or camper trailer setup, and installation is quite simple, simply plug the IP67 dust and waterproof rated camera directly into a VMS Touring 700HDX GPS navigator and then the vehicles reversing lights can be tapped into for a signal that makes its operation automatic whenever reverse gear is selected. This setup is simple and gives clear vision through the large 7″ LED backlit screen for unrestricted rearward vision! With the added ability to see clearly and from a lower perspective means that finding a trailer hitch is made easy and colissions with the wall at the rear of a parking space are all but avoided. If the cable extension is utilised, the camera can also be connected at the rear of some trailers offering a cost effective way to have a second set of eyes watching for clearance. 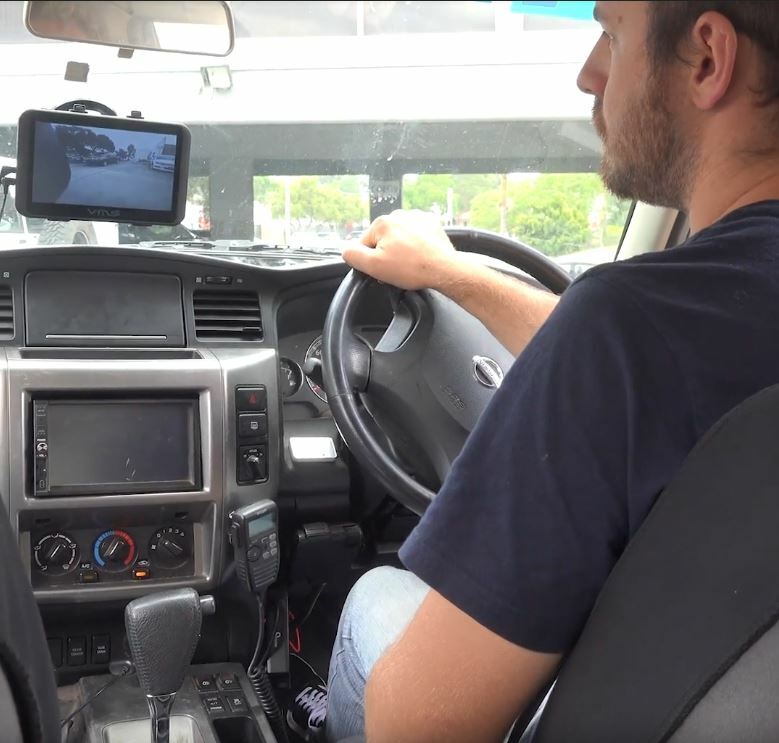 By simply installing a VMS reversing camera, many people are given the ability to easily reverse larger vehicles, like dual cab 4WD utes in crowded areas with much more confidence than without this supplementary safety device connected, and with the simplicity of installation, many older vehicles have a feature that is usually reserved for much more expensive modern vehicles. At 4WD Supacentre, they have found that the addition of an extra set of eyes being installed into the back of our 4WD gives better clearer vision when off-road. In the event of a failed hill start, or simply turning around on tight tracks, or when the need to reverse down tight sections of track presents itself, usually these instances are particularly tough to navigate, and being able to see where ruts are behind the vehicle, makes the dreaded rut crossover which in some circumstances can be disastrous and end in roll overs, or loss of drive. The ability to see rearward will make clear obstacles like tree’s when doing tight 3-point turns, making the whole offroad driving experience much more enjoyable. There are plenty of situations where a 4WD reversing camera like the VMS Reverse Camera, can save the day by avoiding any minor collisions whilst parking, hitting trees on the tracks, and being able to see if there are any small children around whilst a vehicle is reversing out of a driveway. By being able to see a whole 150° behind a vehicle, the VMS Reversing Camera, also makes reversing much more comfortable and ergonomic, without requiring a contortionists neck to see what obstacles might be behind the vehicle. The added safety benefits are far outweighed by the affordable price tag, for less than the price of a carton of beer, many 4WDers can now have one of the most high-tech safety aids, that can simplify driving a big 4WD and will be used every single day!